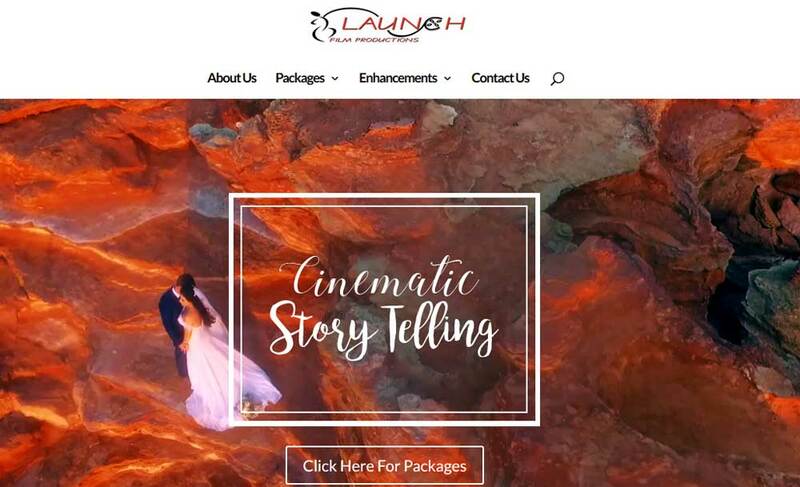 Perth wedding videography/photography company, Launch Film Productions, has been placed into liquidation, leaving hundreds of newlyweds and soon-to-be wed couples out of pocket. Screenshot of the Launch Film Productions homepage. WA Today reports around a dozen Perth brides attended the Federal Court hearing against Knightly Corporation, trading as Launch Film Productions. Clients have since reported a total of $450,000 in undelivered goods, including fully-paid deposits, to WA Consumer Protection. The consumer body received over 90 calls and e-mails in less than a week, with expectations this number will continue to climb. Consumer Protection said in an announcement that Launch was booked to shoot four weddings over last weekend, March 29 – 31, with eight more coming up in the near future. The ATO ordered Launch to pay an outstanding bill in November. Despite receiving a wind-up order in February, which forces an insolvent company into compulsory liquidation, the business continued to trade up until March 22. The court heard Launch was embroiled in a GST battle with the ATO, owing $368,351. John Wilson, Launch managing director, did not appear in court, and nor did his lawyers. Launch Film Productions specialised in video production, with photography also offered to clients in an all-inclusive package deal. The business started in 2006, and had offices in Perth and Sydney. One newlywed told WA Today she paid $5395 to Launch for a video and photography package deal. ‘Our wedding was four weeks ago and we haven’t received our photos or video footage,’ she said. ‘Luckily we got in touch with one of the photographers from the day individually, and he still has some photos on his camera which he is giving us. Launch clients are ‘launching’ joint legal action against the company. Source: Nine News Perth. Another couple said Launch came highly recommended. They forked out $6000 for wedding photos and video shot back October 2018, but had yet to see or hear anything from the company. A Launch employee said they were left in the dark about the financial woes. Staff found out they were jobless a day before insolvency was declared, with Wilson shutting down the office and disconnecting the website and phone lines. The employee believes hundreds of couples could be affected by the closure, with Launch stacked with bookings until the end of 2020. Many paid in full, as a discount was offered for an up-front payment. Former Launch chief executive, Alison Davis, said she wasn’t given notice of the closure either. In instances where a wedding photography company collapses like this, there’s often warning signs to indicate the business is in a bad way. Indicators include unfavourable reviews, social and mainstream media coverage from affected clients, complaints lodged with consumer protection bodies, and poor or strange communication. But Launch had a clean record, with five star reviews from 82 clients through online wedding directory, Easy Weddings. Consumer Protection recommends that those seeking wedding suppliers should ask friends and family for recommendations, request previous work and speak with past clients, and not pay the full amount up front as it reduces bargaining power. Clients awaiting products, or with future bookings, should contact Consumer Protection, and also the liquidator, PricewaterhouseCoopers. Like our work? Please support Inside Imaging by subscribing. It’s easy as!